Barbra Streisand on the cover Walls. 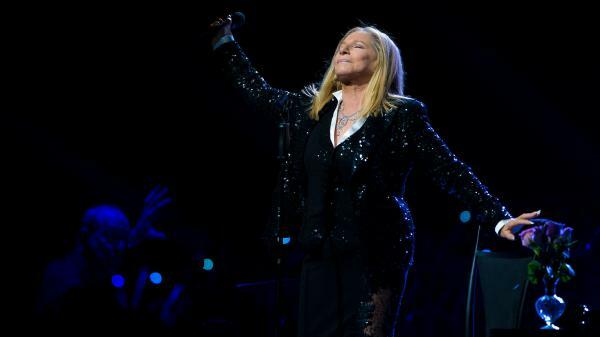 Barbra Streisand, performing onstage in Philadelphia in 2012. On Thursday, Barbra Streisand released a new, very politically focused song: "Don't Lie to Me." Sonically, the song is a grand, lush and heavily orchestrated affair that's very much in the spirit of much of her catalog; lyrically, however, Streisand is pointed — and not subtle. "You can build towers of bronze and gold," she sings. "You can make castles in the sky. You can use smoke and mirrors and old cliches ... don't lie to me." In the chorus, she brings it home: "How do you sleep when the world keeps turning? / All that we built has come undone / How do you sleep when the world is burning?" In an interview published Thursday by Billboard, the singer, songwriter, actress, director and film producer said that she felt that it was time to put her political beliefs into her music. "I've written many articles about this ... this person ... who has no manners, insults everybody, makes fun of disabled people," Billboard quotes her as saying. "I don't know what to say, I've written like 15 Huffington Post pieces ... what else could I think about? It's my protest, in a sense, about this unprecedented time in our history." The song appears on a new album, Walls, which will be released Nov. 2; it is her first album of primarily original material to be released since 2005; in a press release, Streisand says that "Don't Lie to Me" is one of several politically minded songs on the new project.